The inspiring true story of a woman who learned that it’s never too late to live the life you want. As a young girl growing up in the 1950s in central Pennsylvania, Vicki Grubic Riordan idolized stars like Shirley Temple and Gene Kelly. She soon found her calling as a dance instructor, but like many baby boomers, she put her passion on hold to focus on starting a family. Only when her marriage ended and she was left with little means of support for herself and her two young sons did Vicki return to her first true love: teaching dance. In doing so, she found much more than a way to make a living: she found a way to make a difference. With her exuberant personality, infectious enthusiasm, and unwavering belief in the magic of movement to make even the darkest times better, Vicki has inspired thousands of women to do things they never dreamed possible. 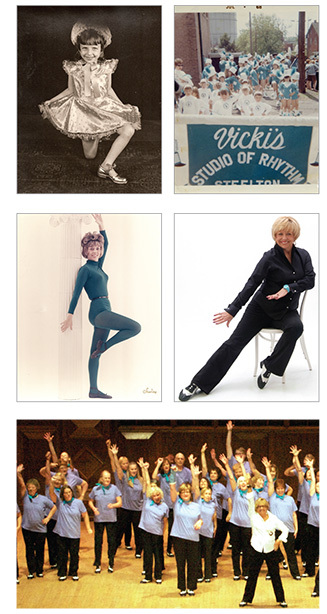 At the age of sixty-two, when her peers were thinking about retirement, Vicki opened the doors to what has become America’s largest adult tap dancing studio. She has gone from teaching fifty students a year to teaching more than five hundred, and thanks to Vicki, Harrisburg, Pennsylvania, has become the unofficial tap capital of the world and the home of her celebrated “Tap Pups.” The majority of the women (and a handful of men) in her classes are in their fifties and sixties, but instead of yielding to the expec-tation that they’d be slowing down at this stage of life, tap has helped them to get in touch with their own natural rhythm. Tap helped Anni, 56, get through a difficult divorce with grace. It gave Betsy a newfound self-confidence, and at 57 she was inspired to wear eye makeup for the first time in thirty years. And when Jeanne, 62, was diagnosed with cancer, the Tap Pups rallied to offer their full support. Vicki’s students come from all walks of life: teachers, doctors, nurses, lawyers, insurance agents, therapists, CPAs, retirees—married, divorced, single, and widowed—but through dancing together, no matter their innate talent or years of experience, Vicki’s Tap Pups have found a potent source of friendship, vitality, and ful- fillment. After years of putting everyone else first, these women know that now it’s their time to shine. 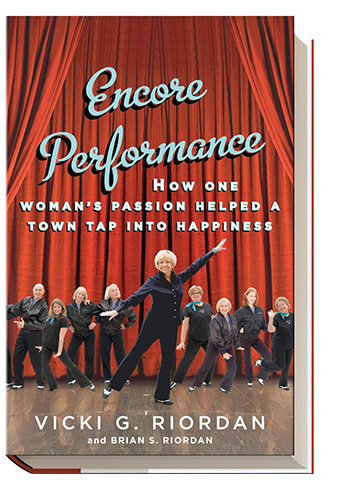 In Encore Performance, Vicki inspires readers of all ages to listen to the beat of their own hearts and dance through life as they were born to do.